HarperCollins Publishers NZ is delighted to announce that Derek Landy, creator of the wise-cracking skeleton of a dead wizard Skulduggery Pleasant, will be returning to our shores in August. Over the space of five days Derek will visit Auckland, Wellington and Christchurch and speak to more than 3,000 children. The Kingdom of the Wicked, the seventh book in the bestselling and award-winning Skulduggery Pleasant series will be released to coincide with Derek’s visit. Derek is author of the bestselling Skulduggery Pleasant series which is hugely popular with children all over the world. The first book in the Skulduggery series was published in 2007 and since then the series has sold more than 3 million copies worldwide and earned many prestigious awards, including the Red House Children’s Book Award and the Bord Gáis Irish Book of the Decade (awarded in 2010). Opportunity to meet Dereky Landy and have him sign your book. 7.00pm – Opportunity to meet Dereky Landy and have him sign your book. This Saturday, Christopher Paolini (author of the Inheritance Cycle) is in Christchurch at the Armageddon Expo. I have the pleasure of interviewing him for Christchurch City Libraries and you can read my interview here on the blog next week. You may not have had the chance to meet him while he has been here in New Zealand so I’m giving you the chance to win a signed copy of Eragon. All you have to do is enter your name and email address in the form below. Competition closes Wednesday 4 July (NZ only). What inspired you to write Broken? Several years ago I started a novel for younger children (two chapters) where the brother was missing and the sister knew he was in one of his comics (this was long before graphic art became popular) and then for some reason I left it. When I came across it three years ago I still liked the idea, but wanted it to be more than ‘just an adventure inside a comic,’ and I wanted it for older readers. So I pulled it out and started work. Or should I say I sat at the computer wondering how to make it into something different than I had ever done before. Slowly, slowly it began to happen. Then Trace appeared and when she did I knew she was talking to Zara in a coma. That was the turning point for me. There are several different threads of the story; what is happening in the hospital room, Zara’s search for her brother, and Zara’s memories. Did you write each of the threads separately and piece them together or did you write the story from start to finish? Every day the story came to me in what felt like different pieces, but the end result is how they went down, were written at the time, bar editing etc. The truth was I just had to trust the writing process. I had no ‘map’ for the book, no preconceived ideas of what I wanted, or how it would turn out. I just simply carried on with my daily writing of ‘sections’ and followed the ‘threads’ and thankfully as the novel grew all the bits and pieces somehow it all fitted together. Zara has a strong relationship with her brother, who she feels she can share everything with. Is the character of Jem based on your brother? Goodness me – no! We are good friends, but beyond that…! However, I did lose a brother when I was very young and he was even younger. Maybe the subconscious held onto that and allowed it to surface for this novel. The style of the story is really unique. Why did you decide to tell parts of the story through Jem’s favourite comic? It was there right from the beginning, as I said, when I started the book as a junior novel, at least ten years ago now. I just thought it would be fun and interesting to have someone believing that they were in a comic. In the world of make believe anything is possible, which is what I love about writing. Elizabeth Pulford’s new YA novel, Broken, is out in Australia and NZ now. You can read my review of Broken here on the blog. When I first read about Elizabeth Pulford’s new book, Broken, I thought it was an intriguing idea: the story of a girl trapped in a coma, interspersed with comic-style panels. After some initial confusion about what was happening, I became wrapped up in the three strands of the story and got drawn in to Zara’s mind. Broken is unlike anything I’ve read before. It’s a mystery, a family drama, and a touch of fantasy woven together to make a dark, slightly unsettling story. There are three strands of the story that Elizabeth weaves together: the hospital room where Zara’s physical body is lying, Zara’s memories of her family and the thing that happened to her when she was seven, and Zara’s search for her brother inside his favourite comic. This sounds slightly confusing (and it is to start with) but once you get used to the story jumping between these strands you get caught up in it. Angus Gomes has created the comic-style illustrations that are sprinkled throughout the book. These illustrations help to tell the part of the story that is set in Zara’s brother’s comic. Zara enters this comic world to try and find her brother, and she meets the heroes and villains of the comic who both help and hinder her search. It’s while she is trapped in her subconscious that Zara is able to come to terms with what happened to her when she was seven and reveal the truth of what has happened to her brother. If you’re looking for a Young Adult novel that stands out from the crowd then try Broken by Elizabeth Pulford. Anyone who is a regular reader of my blog will know that I’m a huge fan of Barry Hutchison, author of the Invisible Fiends series and The 13th Horseman. Imagine my surprise when Barry mentioned on his blog last month that he is naming the main character in his next Afterworlds book after me! The next Afterworlds book is called The Book of Doom and isn’t due out until early next year, but Barry has just posted the cover art for it over on his website, http://www.barryhutchison.com. 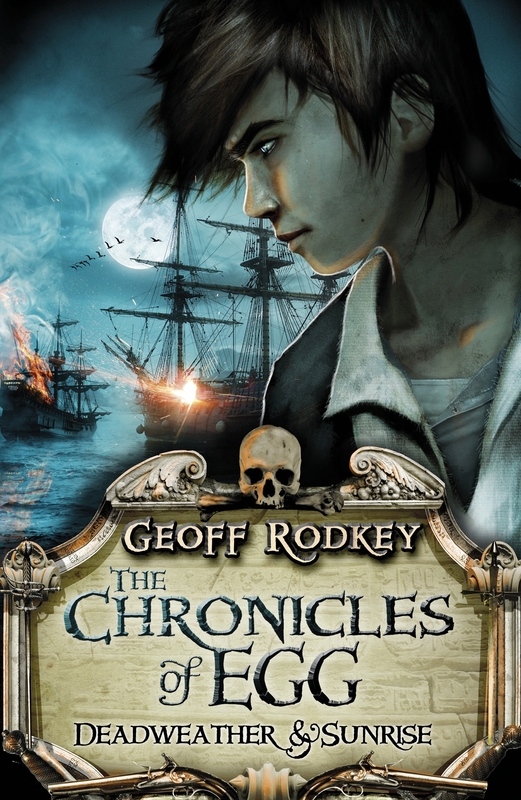 I absolutely LOVE the cover, which has been created by David Wyatt, who also created the cover for The 13th Horseman. Here, for your viewing pleasure is the cover for The Book of Doom. I’ve been doing a lot of reading aloud to preschoolers and primary school children lately and I’ve noticed that I always read similar books to each group. I thought I’d post my top 5 read alouds for 2-5 years, 5-8 years and 8-12 years in case anyone is looking for great read alouds for their children or their class. First up, here are my Top 5 Read Alouds for 2-5 Years. Hugless Douglas is one of my favourite picture book characters and I always look forward to another book featuring this loveable bear. He’s cute, silly, and loves his hugs. David Melling really knows how to write and illustrate for children, particularly preschoolers, and he’s created a character that every child will love. Hugless Douglas is the perfect match of text and gorgeous illustrations. 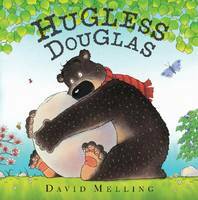 David’s illustrations make Douglas look so cuddly and loveable which makes him appealing to children and adults. 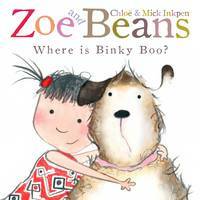 Zoe and Beans are two new characters that star in their own series of picture books. They are the creation of father and daughter team, Chloe and Mick ‘Kipper’ Inkpen. In the first book in the series, Where is Binky Boo? Beans the dog has lost his favourite toy and Zoe helps him find it. The illustrations are gorgeous and the stories are that rare blend of both cute and funny. Zoe is brimming with confidence and a love for adventure that children can relate to. Children will beg for them to be read again and again, and I’m sure parents will be only too willing to. Nick Sharratt is a real favourite of mine. 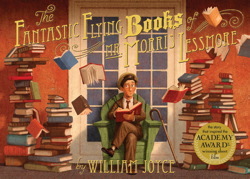 He writes and illustrates consistently brilliant picture books that have children rolling around with laughter. Books like Moo-Cow, Kung-Fu Cow and Elephant Wellyphant really spark the imaginations of children and make them laugh. 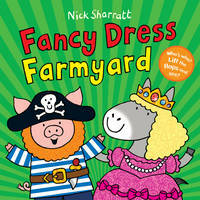 Fancy Dress Farmyard is great for preschoolers because it’s a game of peekaboo and the illustrations are bright, bold and funny. Both Roadworks, and the follow-up book, Demolition, are great especially for boys in this age group. A lot of them become fascinated with how things work, especially diggers and dump-trucks. 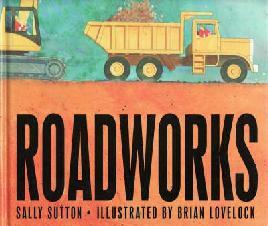 Roadworks is a beautiful book, from the asphalt-patterned end papers to the bold illustrations and the big, blocky words that stand out on the page. It’s a great book to read aloud because the children can join in with you by making the sounds, like SPLOSHY! SPLASHY! SPLISHY! Roadworks shows a road being built from start to finish, and Demolition shows a building being demolished step by step. Jez Alborough is another author/illustrator whose picture books I love. 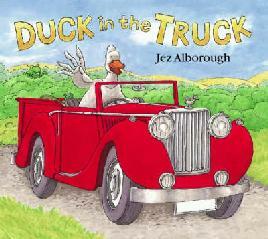 Duck in the Truck has been out since 1999 but I still love reading this aloud to children regularly. The rhythm and rhyme is perfect so it flows really well as you read it and children love the illustrations, especially the animals driving cars. Children love Duck because he’s so silly and always getting himself in trouble. Another of Jez’s books that is perfect for this age group is The Gobble, Gobble, Moooo Tractor Book, because the children get to make lots of animal noises while you read the book. All of these books are great for older children too, but I’ve chosen these because they work particularly well for this age group. I have used all of these in my Story Time (for 2-5 years) at my library and the children love them. I’d love to know what your favourites are for this age group. Have you ever read a book that sent chills down your spine and made you want to sleep with the light on? 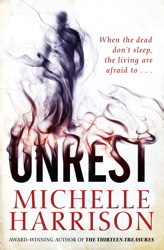 I’ve never read anything as haunting and spine-tingling as Unrest by Michelle Harrison. Seventeen-year-old Elliott hasn’t slept properly for six months. Not since the accident that nearly killed him. Now he is afraid to go to sleep. Sometimes he wakes to find himself paralysed, unable to move a muscle, while shadowy figures move around him. Other times he is the one moving around, while his body lies asleep on the bed. According to his doctor, sleep paralysis and out of body experiences are harmless – but to Elliot they’re terrifying. Unrest is one of the creepiest books I’ve read, and Michelle Harrison had me considering leaving the light on at night. It should come with a warning: Do not read at night! Michelle’s writing is so descriptive that you feel like you’re in the room with Elliot, seeing and feeling everything that he does. Michelle mentions in the author note that Elliot’s experiences are based on those of one of her relatives, and it is knowing that her story is based on fact that makes it even scarier. One thing that I especially like about her writing was the way that she builds up tension, making you feel very on-edge as you read. There are several strands of the story that Michelle weaves together like the Witch’s Ladder that becomes an important symbol for Elliot. I thought both Elliot and Ophelia were really interesting characters. Elliot has no idea why these horrible things keep happening to him while he is asleep and he has to deal with it by himself as nobody else believes him. You experience everything that Elliot does because you’re inside his head and you empathize with him because you wouldn’t want to be in his situation. I don’t think I’d be particularly sane if I woke each night to find myself paralysed and a dripping ghost was sitting on my chest. Ophelia was a character that really grew on me. At first, she’s quite snobbish and doesn’t want anything to do with Elliot. She seems to have put barriers up to everyone and doesn’t want to get close to anyone (with good reason as we later find out). As Elliot gets to know Ophelia he starts to break down her barriers and she becomes someone he can confide in. The more I found out about Ophelia the more I liked her, and so does Elliot. Unrest has the most shocking, unexpected ending of any book that I’ve read (I wasn’t even sure it would end on a positive note). When I finished I could finally take a breath and marvel at the spine-tingling story Michelle had just told me. If you like to be scared by the words on a page, you can’t go past Unrest.